EL.CO will show its innovative products for the industrial automation at HALL 11, STAND E48: contact us to make an appointment, will be pleased to meet you and answer all your requests! 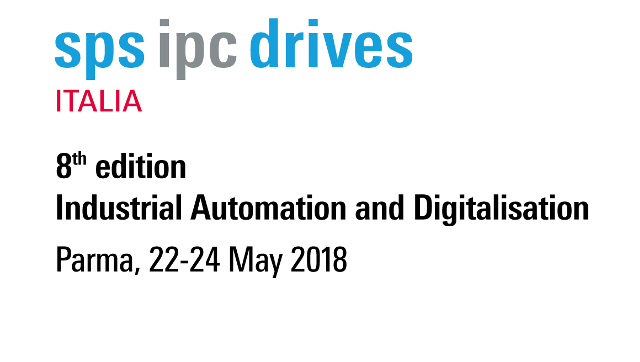 El.Co srl will be present with its own booth at the upcoming SPS IPC Drives Italy, the international exhibition of technologies, systems and components for industrial automation to be held in Parma from May 22 to 24, 2018. You will find all the EL.CO's technologies and innovative products at the Hall 6, Stand G011. The annual Hannover Messe in Hannover (Germany) will be held this year from 23 to 27 of April. EL.CO couldn't miss the event and the opportunity to show its innovative products for the industrial automation.You will find us at HALL 11, STAND E48: contact us to make an appointment, will be pleased to meet you and answer all your questions!